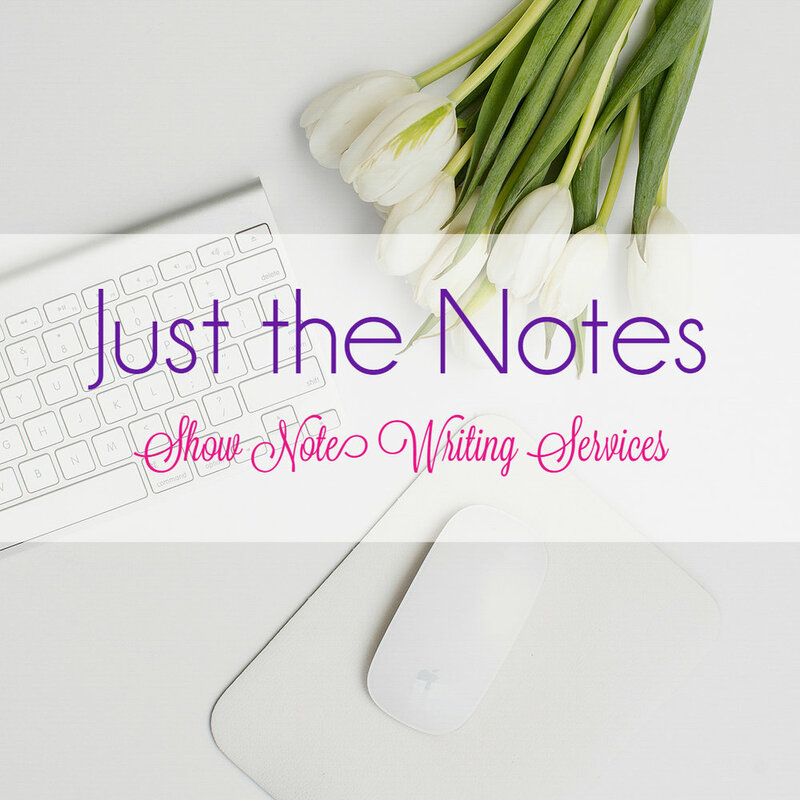 Blog Post Style Show Notes: Are They Really Worth It? It’s no secret that blogging offers unique qualities and benefits to a website. Blogging is fantastic for driving traffic to your website through SEO as well as engaging with your audience on a platform you own. According to HubSpot and the iMPACT blog, “On average, companies that blog receive 434% more indexed pages.” So, I can understand why turning a show’s audio content into a blog post can be quite appealing. Over the last few months, I have had a few people reach out to me asking what I think about blog post style show notes. In fact, I was a guest on the podcast The Agency Lounge recently and the host, Xavi asked me about this very topic. I experimented and played with this style for about two months – and with more than one client, which means more than one podcast style. I wanted to test this style out before deciding whether I wanted to talk with my team about offering it as a premium service package to our current and future clients. 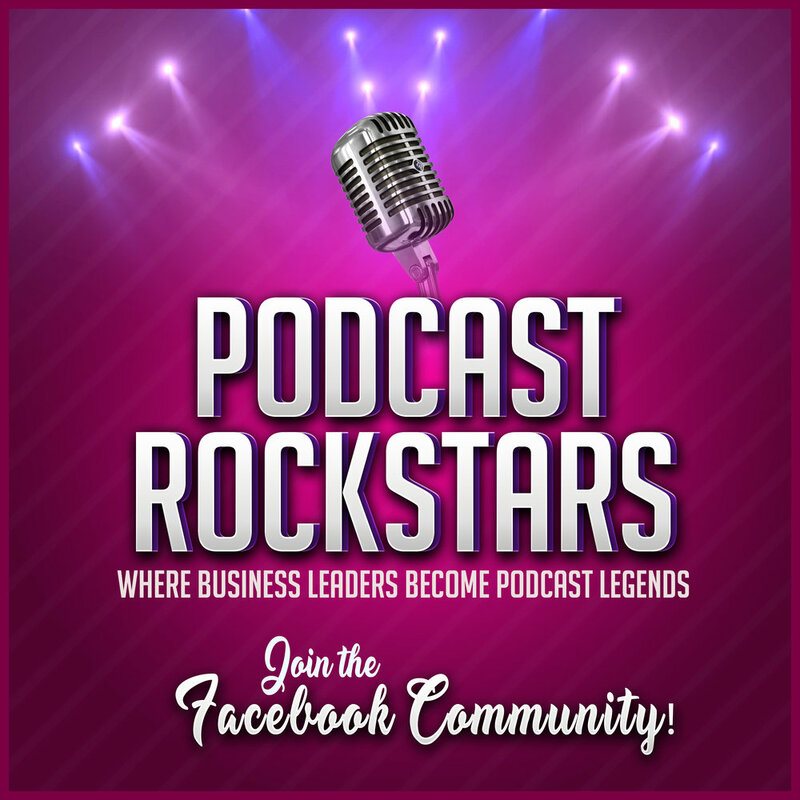 Throughout this experimental process, I learned many valuable lessons as well as took several factors into consideration – the primary ones being the value factor that each of these styles would offer to a podcast listener and host. So, before making a firm decision on whether you should change the style of your show notes to something more comprehensive like a blog post, be sure to take the following factors into consideration. Your show notes aren’t much different. Take your audience into consideration. Do they prefer to read a blog post or would it be easier for them to tune into your show or watch a video? What do they want from your show – and your show notes? Where do they consume your podcast content? According to this research conducted by Edison Research in 2016, 71% of podcast listeners tune into podcasts using their smartphone, tablet, or "portable device. That number is up from the mere 42% of listeners in 2013. Even if your audience prefers to read more than listen, one of the things you really should consider is how you plan to monetize your show. You probably have several ideas on ways to monetize it – from offering services to creating a membership program to going the tried and true route of accepting sponsorships. 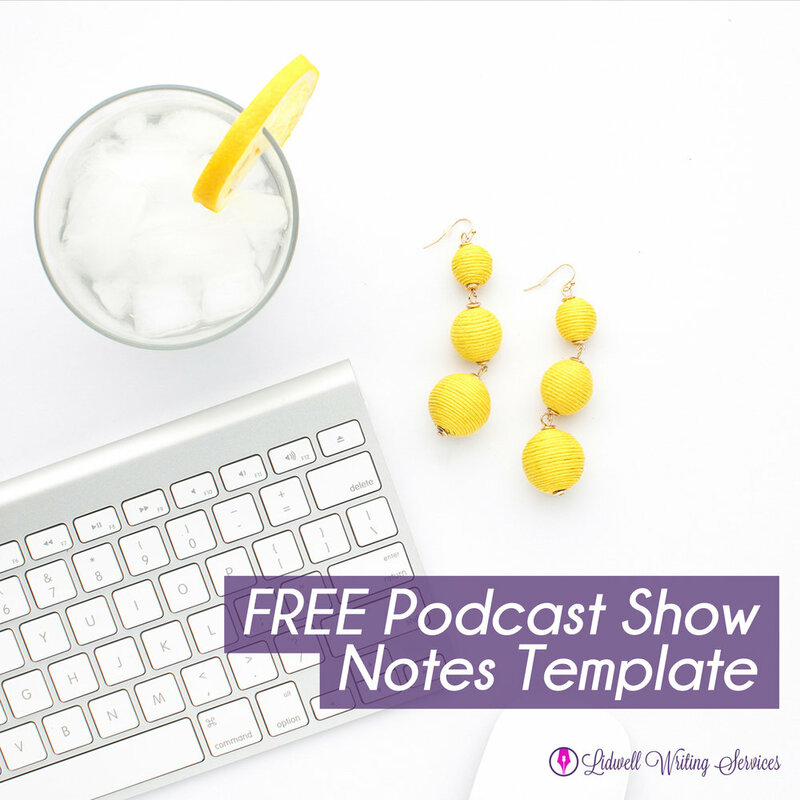 That means you need to put a lot of thought into whether your podcast’s show notes should be a simple overview-style or something more comprehensive like a blog post. Blog posts are great for giving readers value, which means, you’d likely have to share virtually every powerful, valuable detail that was shared in your audio. If you do that, why should they bother downloading your episode, clicking play, and listen to your amazing voice? Highly successful entrepreneur and the host of the EOFire podcast wrote a great, informative blog post outlining the income potential you can expect from podcast sponsors here. Turning your audio into a blog post may significantly affect your download stats – something you don’t want to risk if you are planning to monetize through sponsorships. f you’re considering switching your show note style, consider how much time it might take you to write it. How long, on average, does it take you to write a 1,000-word blog post? Throughout my experiment, one thing that I have noticed is that the average length of a blog post type of show note, when done correctly, takes on average, two to three times longer to write than a standard overview show note. That’s even considering the overview-style notes that average around 500-words! And that is coming from someone with a previous professional background in blog post writing. That is because – unless you have an exceptionally good memory or you write the post right after recording the episode while the conversation is still fresh in your mind – you will have to re-listen to the episode; pausing it much more frequently to write down those important notes to refer to later when writing the blog post. 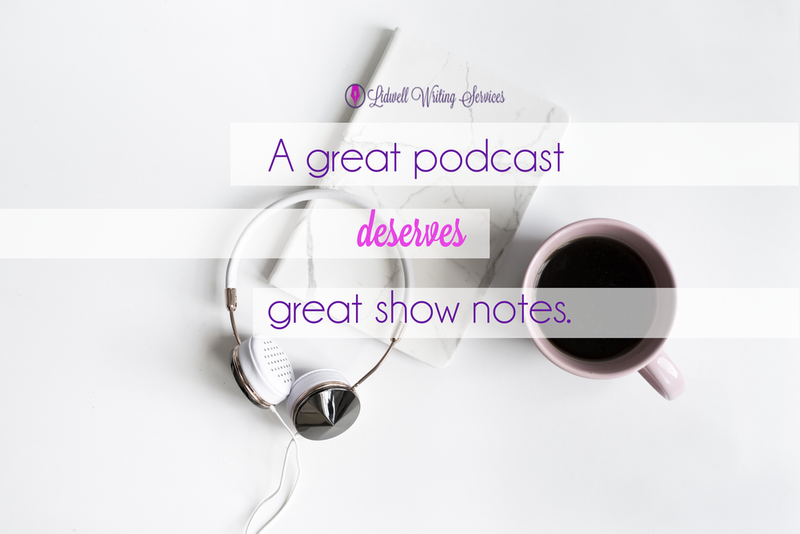 Not to mention the time it takes to write it and scouring the internet for all of the juicy resource links that were mentioned in the episode. Do you have that kind of time? Of course, you could always outsource the task to a professional, but for high-quality blog post writing services, you should prepare for the potential cost. It’s common for many bloggers to charge anywhere between $0.10 to $0.25 or more per word. Keep in mind, though, the amount of time that writer would need to spend listening to your episodes. Your writer may want to charge by the hour. Although there may be some similarities, blogging is a very different writing style than show notes. Both are great for driving search engine traffic, but blog posts also serve a very different purpose than show notes. They are meant to engage a different type of audience – those who prefer or enjoy reading. 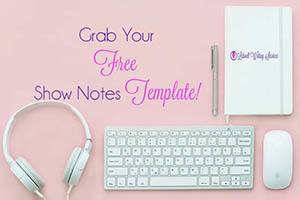 Show notes, however, are designed to be engaging to your audience while encouraging listens and downloads. Will this style provide more value to my listeners? Where does my podcast audience typically consume my show? In the car? On their run? Or at their computer? Do I want to monetize my show? If so, how? How will turning my podcast audio into a blog post affect my download and “listen” stats? Will I write the posts myself or hire someone? Is it in my budget to hire a professional or freelance blog writer for this task? Which content style do you prefer for your podcast? If you write blog posts for your show, how much of your audio content do you “give away” to your readers? How much time does it take you to write each piece? Share your thoughts, ideas, and tips in the comments below to help other, new podcasters on their journey to creating amazing content!